The immensely talented Ananda Braxton-Smith delights us once again with her unique voice with new work for teenage readers. She addresses themes such as family ties, memory, and the place of story in children’s lives as promoter for understanding others, and one’s self. 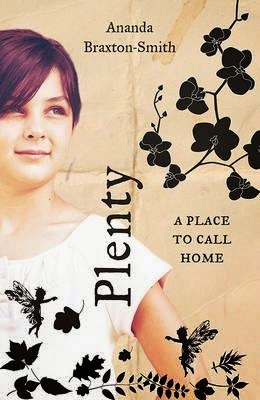 Ten year old Maddy and her family are moving from the only home she’s ever known to the country area of Plenty. It’s where her grandmother lives alone, in the early stages of dementia. Maddy can do little other than be angry at her parents for taking her away from everything familiar, including all her friends. When Maddy reaches Plenty, everything beautiful that surrounds her appears ugly in comparison to what she left behind. When she meets her grandma Mad, she begins to thaw. Stories of Mad’s life and a similar interest in orchids fill empty spaces in Maddy created by the move. At school, when Maddy is seated with the Sudanese refugee Grace, then coupled with her on a project, her world begins to reshape. The story of Grace’s life and her family’s struggle through change and adaption helps Maddy count her blessings and view her new and changing life with acceptance. With clever wordplay and a prose style all her own, Braxton-Smith has created a moving and thought-provoking novel that will appeal to all ages. I loved every page of this book that I couldn’t put down until the last sentence.